The Mitchell Institute for Global Peace, Security and Justice’s Interdisciplinary Doctoral Research Group is designed to bring together postgraduate research students from across the Faculty to meet, discuss and share common research interests. This year the Group is being convened by Prof. Rhiannon Turner and Dr. Cheryl Lawther. We are pleased to invite you to our second seminar in semester two – ‘Academia and Activism in Palestine: A Palestinian’s Experience’. 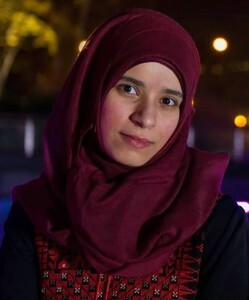 Malaka Mohammed is a Palestinian PhD candidate at Exeter University, Former National Union of Student Executive Committee member and a BDS campaigner. Her work focuses on Palestinian political prisoners in Israeli jails (with special focus on hunger strikes), on the concept of gender in hunger strikes and on grassroots resistance in Palestinian society. Drawing on her practical experience and academic research, Malaka will combine her fieldwork with a discussion on ‘doing’ activism and academia in Palestine.